Over 25 billion apps have been downloaded from Google Play, and Google's so happy about it that it's offering some discounts to celebrate. 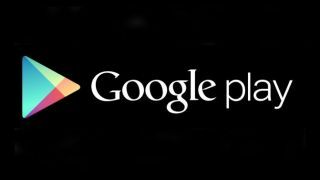 The Android app store currently plays host to 675,000 apps and games, according to Google, and some of these will be reduced down to 25 cents in the US store over the next few weeks. Discounts will come to apps from Gameloft, EA, Rovio, runtastic and Full Fat, among others, and El Goog is also curating a few special collections too. These will include 25 movies you must own (or what? ), 25 banned books, 25 albums that changed the world and Google's top 25 selling magazines. See what they've done there? Because of the 25 billion downloads? We're trying to find out if Google will be sharing the cut price love with the rest of the known Android-using world, but no word yet. To round things off, here are some more 25 billion related facts courtesy of big G: "25 billion is more than twice the distance, in miles, that the Voyager 1 spacecraft has travelled since its launch 35 years ago" and "It's the amount of time, in minutes, that have passed since some of our earliest ancestors began to set foot in Europe." So that's all nice and relevant.